A new “worry” appears to have gripped Gujarat government: Claiming to be No 1 in solar power, it is not sure how the Government of India would fulfill the solar power dream, revising the target upwards from 20 GW to 100 GW, especially when the rooftop segment, forming 40 per cent of the target, woefully lacks necessary manpower. 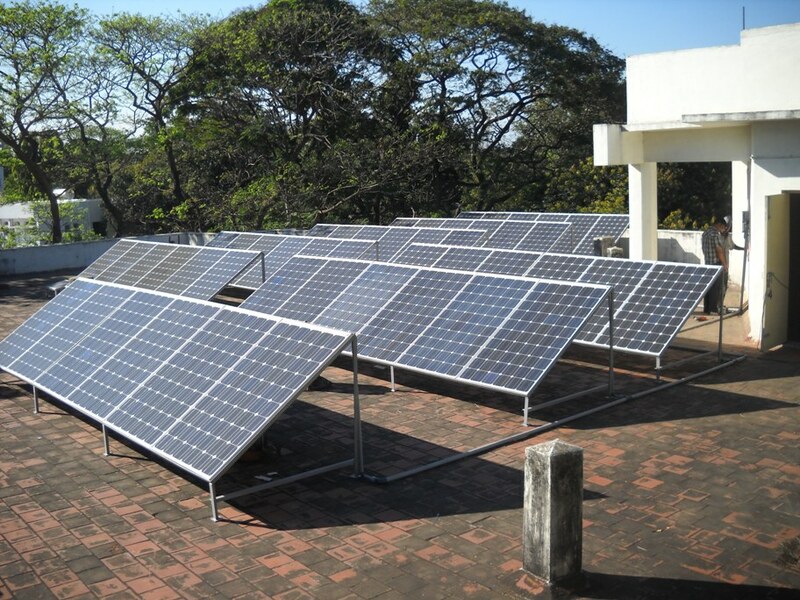 Suggesting that while solar power in general may have enough quality controls, a workshop held at Gandhinagar under the auspices of the state-controlled Gujarat Energy and Management Institute (GERMI) sounded a warning bell: The 40 GW, which will have to contributed by rooftop solar systems, does not have any strict quality control system. Worse, it was suggested, India is woefully short of “skilled technicians and non-standard installation processes” for producing rooftop solar power, and the country would require at least 13 lakh technicians by 2022 in order to achieve the target of 100 GW it has set for itself. There is, however, no data on the number of technical manpower existing for solar power as of today. This was particularly highlighted by the BJP government’s political appointee, IM Bhavsar, chairman, Gujarat Energy Development Agency, the state agency promoting renewable energy issues, and L Chuaungo, principal secretary, energy, Government of Gujarat. Eighteen personnel from Maharashtra, Gujarat, West Bengal, Haryana, Tamil Nadu, Andhra Pradesh, New Delhi and Goa attended the workshop. Those attended represented mainly industry bodies such as Pathfinder Ventures India, Grey Batter, Amba Township, Tata Power Co Ltd, Ichamati Society for Human Welfare and Relations, Gujarat Institute of Solar Energy, Bergen Group, and Australian Premium Solar. Titled “Train the Trainer Workshop for Rooftop Solar Photovoltaic Installers”, the workshop worked out a 12-point programme, aimed at setting up over 100 partnering training centres across the country, so that these training centers can further train 10,000 rooftop solar technicians and entrepreneurs each year. The note does not say how 10,000 technicians would be able to fulfill the target of 13 lakh technicians needed across the country, nor does it point towards how many technicians are there in the country today for rooftop power.